Here's the 3rd selection in my Grab & Go Series, comprised of repeated posts (with some editing) of books that are so good they almost stand on their own. Simply find connections to one or more of the scriptures I provide. Be sure to consider the age appropriateness of each book you select. Look for additions to this series. Email me if you want a top ten list! 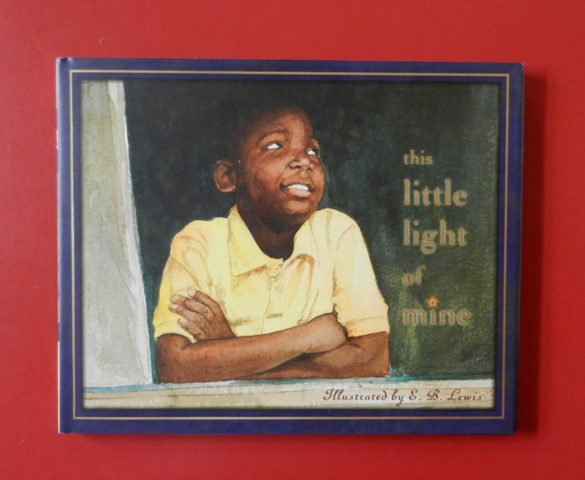 Summary: This beautifully illustrated version of the African-American spiritual begins with a black boy looking in the mirror and then interacting with family & neighbors in delightful and helpful ways. His activities include giving his grandmother a hug, waving to neighbors, picking up spilled groceries, offering comfort to a boy who is upset, and then inviting that boy to join a group of friends to play basketball. Hanna’s Comments: On the book jacket, the introduction begins, “There is a light inside of YOU.” What a wonderful way to begin a PBT lesson! This book would be especially valuable to children who know this song. It gives the song meaning that they can relate to and expand on. Note that the song’s score is in the back. There are several other book versions of this song, some with an audio component, some combined with other songs. I found a board book version that I like for young children by Mcnicholas. However, for children 4 and up, I especially like these illustrations especially for children who are not exposed to neighborhoods comprised primarily of black people. Such positive images are important for all to see. Idea(s) for Application: Read this beautiful book to a children’s music class in your faith community or private school.